New Play Control! 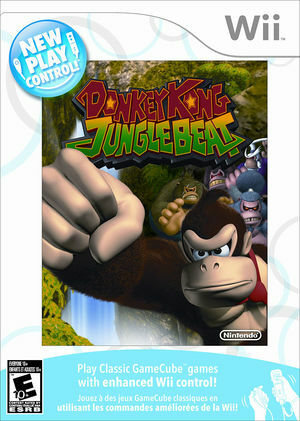 Donkey Kong Jungle Beat is a Wii re-release of the original Donkey Kong Jungle Beat for the Nintendo GameCube and was released under the New Play Control! line of video games. The game features the ape, Donkey Kong. The Wii version of Donkey Kong Jungle Beat is somewhat changed from the original GameCube version, including new levels, modifications of old levels, and played with the Wii Remote and Nunchuk rather than the DK Bongos or a GameCube Controller like the original. The graph below charts the compatibility with Donkey Kong Jungle Beat since Dolphin's 2.0 release, listing revisions only where a compatibility change occurred. 3.0 Windows 7 AMD Phenom X4 955 @ 3.2GHz ATI Radeon HD 5770 Perfect, a little stuttering. This page was last edited on 15 January 2018, at 08:17.